People are just desperate for a fashionable style of living but the thing that is continuously stopping the people from doing this is only the unreasonable increase in prices! Due to modern inflated rates of things it is becoming too difficult to meet basic furniture demands of home! People are just sorting out some alternatives and shortcuts to living the luxury and to complete the furniture of home! Pallet wood is the most renowned word in this case and people have just developed great sense to use the pallets for no-cost furniture, to prove it right to you we have just brought here some marvelous DIY pallet furniture ideas that just encircle every aspect of wise pallet wood recycling to let you get some highly advantageous and real benefits of pallets! 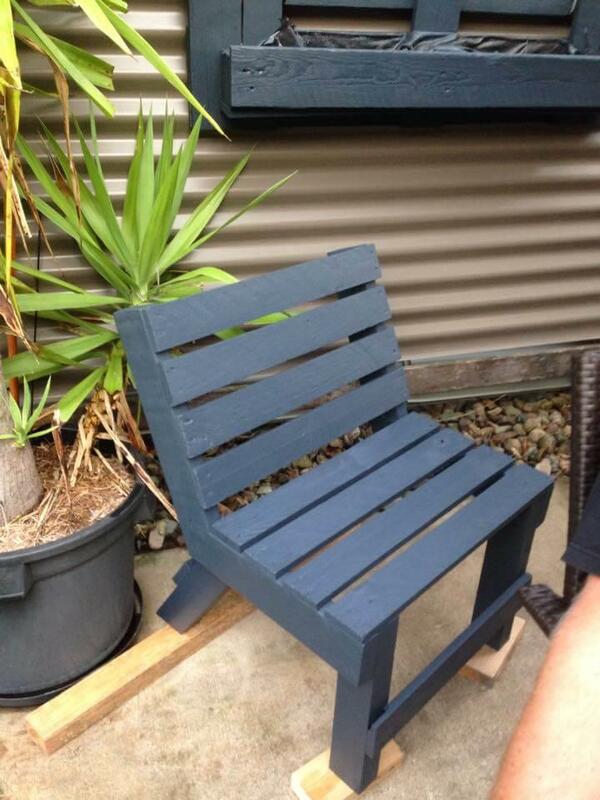 Both uncut and dismantled forms of pallet boards are being used for DIY furniture making! 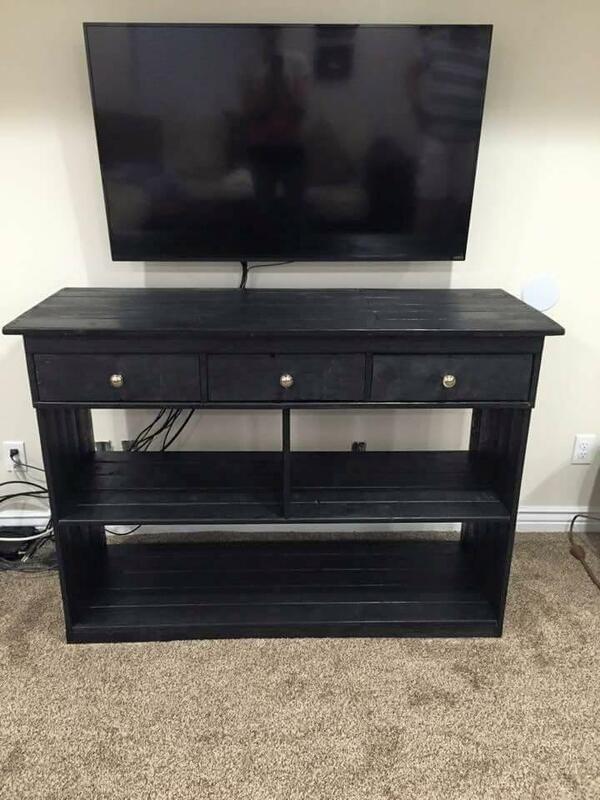 While being in disassembled form, the pallets boards just look like long rectangular wooden slats that are so easy to plan for suitable furniture construction just like the given below TV stand that is full of features that a modern media table can ever possess! Storage drawers, shelving levels and a dominant black rustic look is all that can make you crazy about this handmade and zero-cost table stand! 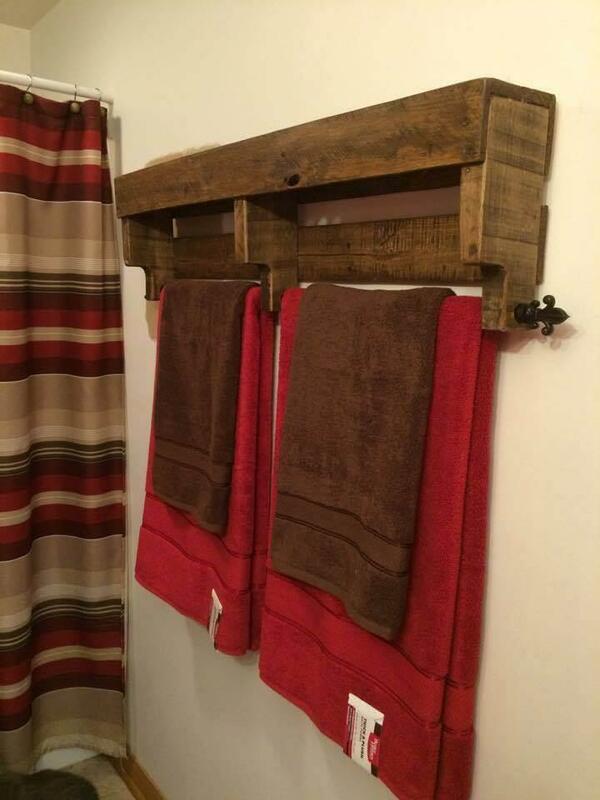 By giving some clever attachment to those of removed pallet slats, also build the amazing ladder shelf, kids mud kitchens, patio furniture and amazing wall organizers or racks just like this towel rack showcased below in the given collection of pallet furniture ideas! To recover the pallets into different amazing types of tables has just put everyone into amazement! People are getting marvelous wooden tables hand to hand using pallets and this console table is just waiting for you to get to your home! 3 drawers and 3 tiered levels would be enough to rock your media room! 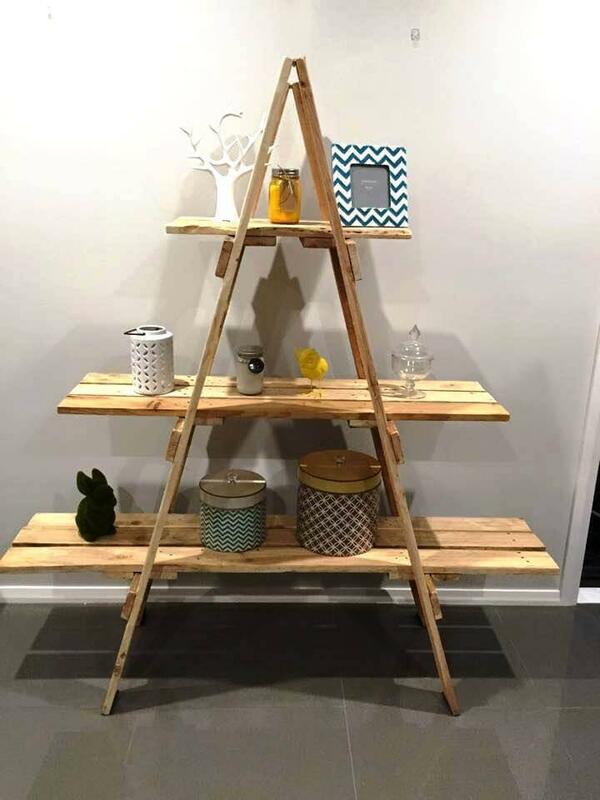 Build this ladder shelf using pallets inspired of a tree shape! Just build an A-frame using pallets and just create different shelving levels with extended outward edges supported on the rungs of the ladder! Just keep on increasing the size of shelves while coming downward! Just use the little pallet parts to get outstanding racks, wall organizers, planters and shelves for functional and decorative statements of interior walls! By passing though a metal rod this towel rack has been made of a cut down pallet size and would be brilliant addition to your interior bathroom wall! 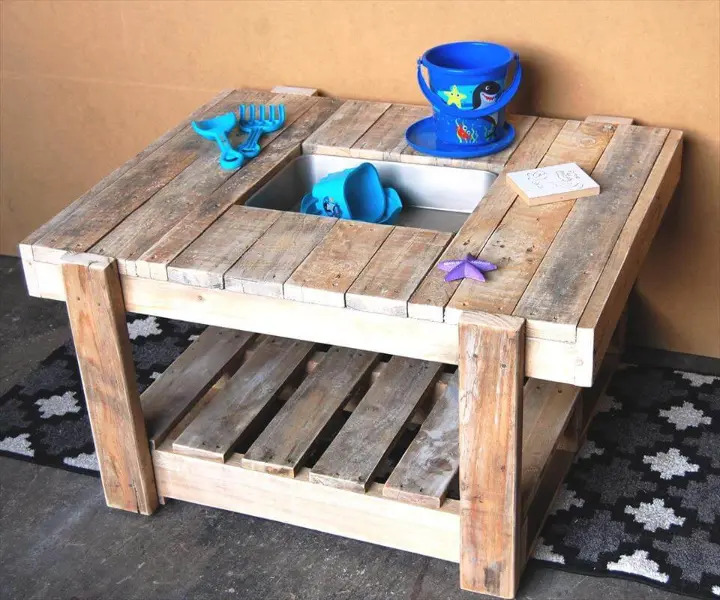 Build outstanding mud kitchen for your kids for cooking practice and pallet wood is the easiest solution to get no-cost furniture, kitchen stuff and many superior types of decors related to each department of home! The patio is always a portion of the home to breathe in fresh air and to enjoy the garden greenery! To make an eye-contact to garden greenery and nature you always want to sit in the comfortable mood, this pallet-made chair is just best to make you feel great and is zero in cost prize!